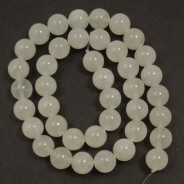 Yellow Cracked Mashan Jade Gemstone Round 10mm (~40pce Strand) - 40cm/16'" Strand. Yellow Cracked Mashan Jade Gemstone Round 10mm (40pce Strand) - 40cm/16'" Strand. 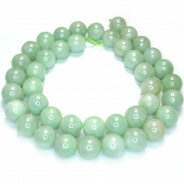 Mashan Jade gemstone beads are believed to be effective for easing stress. Also said restore balance to the body and mind. Mashan Jade also known as Mountain Jade are Dolomite Marble dyed to enhance its beauty. This Mashan jade is dyed dolomite marble.